Household junk reduction isn’t exactly the most exciting topic. But, it’s something we all have to do from time to time. Be it due to moving or repurposing a room or selling a house. Whatever the impetus, you need to free up some space and/or just clean-up in general. What’s for certain is the fact that household junk piles up quickly. It’s everywhere and seems to grow over time without any real effort. 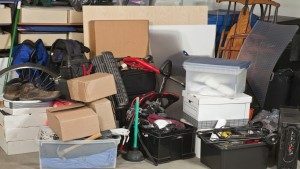 When it comes time for household junk removal, you’ll need a plan of action. Just why is household junk so problematic? Well, it’s a space waster for one thing. Also, it becomes a bigger and bigger task because it grows continually. Which means the longer you let it go, the larger it gets and that leads to empathy. Or, demotivation since it becomes overwhelming as it increases in size. Put another way, it grow so large, you basically ignore it and that makes the job all the more difficult. Then, there’s the matter of logistics. In other words, once you lose space, it’s difficult to gain back without a whole lot of time and effort. That’s when you become overwhelmed by the scope of the entire thing. So, it’s best to take a different tact. Create a schedule. One reason household junk piles up is because it becomes so large, it’s overwhelming to clean it all up. So, set a schedule to clean out one room at a time and do it over the course of a week or two. Commit to change. A huge part of reaching a successful conclusion is to get and stay in a certain frame of mind. If you take on a binary mindset between “Yes” and “No,” you’ll have a lot more momentum. Purge, purge, purge. Next, commit to purging as much as possible. Once you do this in earnest, you’ll discover it gives you the freedom to throw out a lot of useless stuff. Don’t bring more home. Of course, no matter how much you offload, it won’t deliver real results unless you stop adding to the problem.